Amsterdam is a fabulous location for a city break; cruise its canals, immerse yourself in art at one of the many galleries and museums, or simply sit outside a café and soak up the atmosphere. 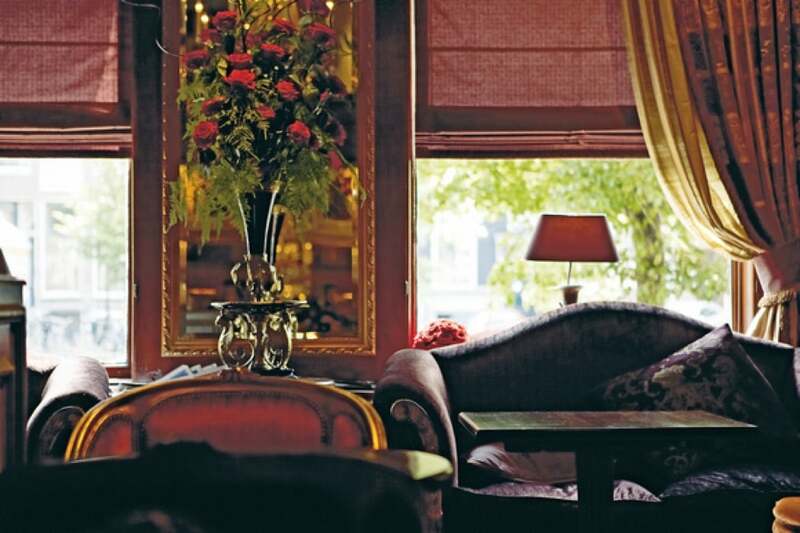 For a romantic break, you’d struggle to find a better place to stay that the charming The Toren; centrally located, the boutique hotel oozes romance and class. The Toren is situated in probably the most famous area of Amsterdam, the picturesque Jordaan district. It is located at the prestigious Keizergracht, also known as The Emperor’s Canal; the middle of the three main canals in Amsterdam, a sought-after and exclusive area of the city. 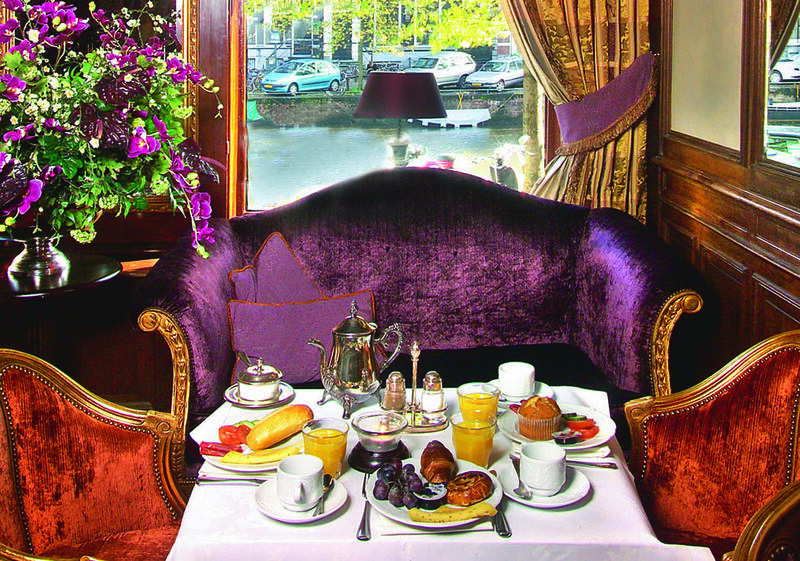 The beautiful canals of Amsterdam are listed as a UNESCO World Heritage Site and the hotel is set right on the canal-side, offering lovely, peaceful canal views. There is much to explore in the city but it’s small enough that most can be done on foot, although you must make use of the trams which are an attraction in their own right. The hotel is a short walk from the Anne Frank House, Dam Square, the Royal Palace and several museums; to get your shopping fix, wander around the corner to ‘Negen Straatjes’, a trendy shopping district with a great selection of boutique shops. It’s very easy to get to the hotel; it’s just a 45-minute shuttle or taxi ride from Schiphol Airport. 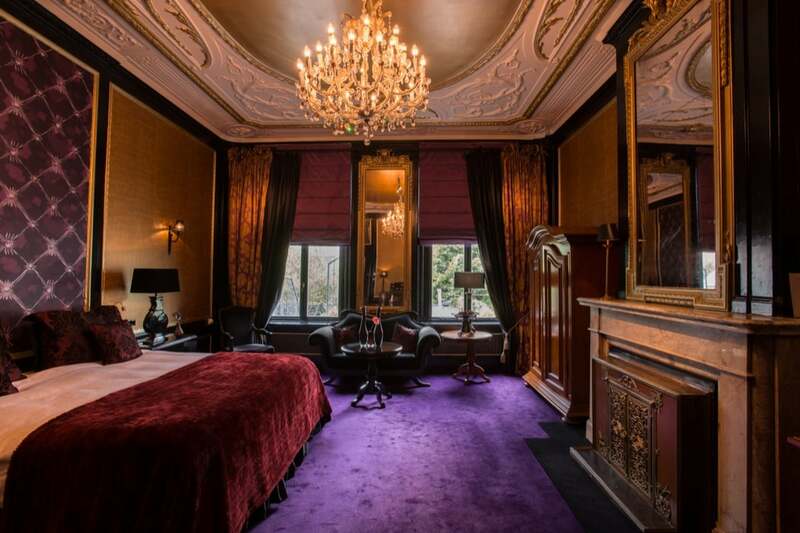 The chic interior fits perfectly in the two wonderful 17th-century historical canal houses in which the hotel is housed; glamorous and theatrical with velvet wallpaper, lush patterns and fabrics in purple, red, black and gold, the end result is incredibly romantic. The hotel is family run and the service is as passionate as the décor, as soon as you’ve checked in they know you and will greet you personally; they provide you with a map of the city, local tips and restaurant recommendations, nothing is too much trouble and they seem to genuinely care about your stay. The intimate four-star boutique hotel has 38 individually styled rooms and suites and there’s a total mix of sizes across the 12 room types, from the cosy up to the vast! The Cozy Rooms are perfect if you love the ambience here but don’t mind about space; the Luxurious Rooms are about double the size if you need a bit more room, but the Suites are the optimum and are ideal for a really indulgent stay. The lavish décor and in-room double Spa Whirlpool bath ups the romance yet another notch! The hotel doesn’t have a restaurant, and to be fair you’re in the centre of Amsterdam so you’re spoilt for choice elsewhere, but what it does have is a bar. And this is not just any bar! The Toren Bar is the very heart of the hotel; a sumptuous space with a mystical boutique design and a stunning painted ceiling; drinking a cocktail here seems just that little bit more fabulous. A range of bar snacks are served, the cheese platter perfectly complements the wine list and the club sandwich is legendary. And when you do venture out, you’ll find a wide range of restaurants and typical Amsterdam cafés along the canals and in the Jordaan area.